Let’s Have a Blast and Remember this Moment for the Rest of Our Lives! 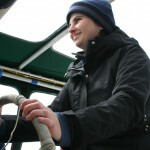 I never thought I would be able to call the sea my home, but after living on a boat for an extended period of time, I can truly call myself a sailor, and a sustainable one at that! 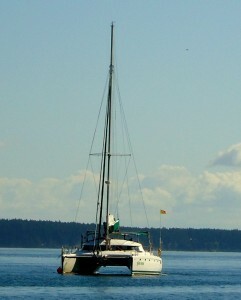 The Gato Verde is the only biodiesel electric commercial sailboat in the country, which makes it pretty darned special. It’s considered sustainable because of the myriad of things that keep the cat green, like being able to use the slightest touch of wind to power the boat. When the wind is lacking, the boat simply runs on electric power, and when electric power runs low, the boat is backed by biodiesel. The electric power of the Gato is provided by heavy, lead acid batteries. These batteries are the same batteries that can be found in cars and their weight adds to the drag on the boat. In order to make the Gato more efficient and sustainable in the future, the type of battery used could be switched to lithium polymer batteries, which are lighter, more abuse tolerant, and could power the boat alone for a full four hours, as opposed to the current two hours that the lead acid batteries provide now. In addition to the battery type change, Captain Todd hopes to yet improve the sustainability of the Gato by converting the current black water system to a grey water system. 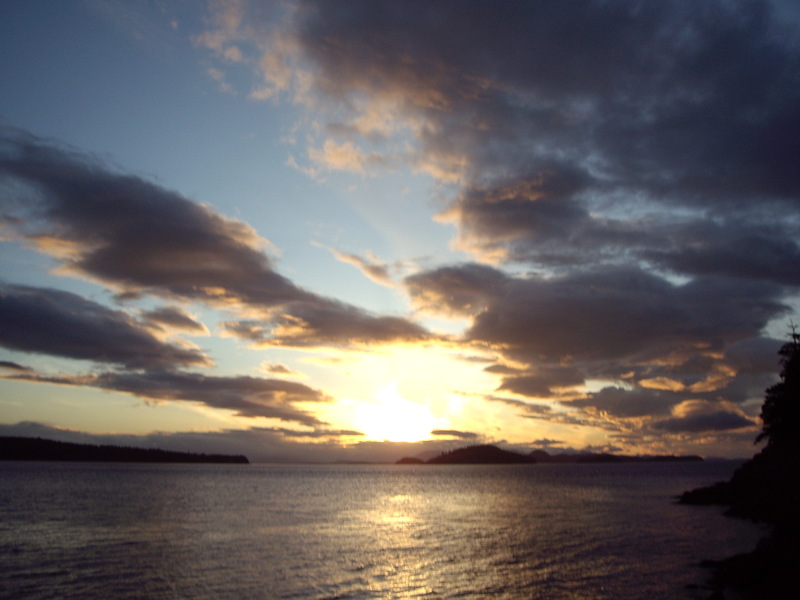 While we were out sailing through the Salish Sea, we had to constantly be conscious of our black water system. The black water system on the Gato Verde is the where the human waste is held, home to a unique ecosystem of hazardous pathogens, and it was how we kept our waste from entering the marine environment. We had two holding tanks on the boat, a primary and a secondary. When the primary holding tank was filled, it was pumped into the secondary holding tank and when both tanks were full, it was time to make a trip to pump out. We created a decent pump out rule, as pumping out is not always the most pleasant thing to do. The rule was that whoever did not pump out had to buy ice cream for whoever did pump out. Because of this, pumping out ended up being one of our favorite things to do on the boat! In addition to measuring the amount of waste produced, daily calculations were made of fresh water usage, biodiesel fuel, and power consumed. When the environment permitted, we used it to maximize our efficiency. 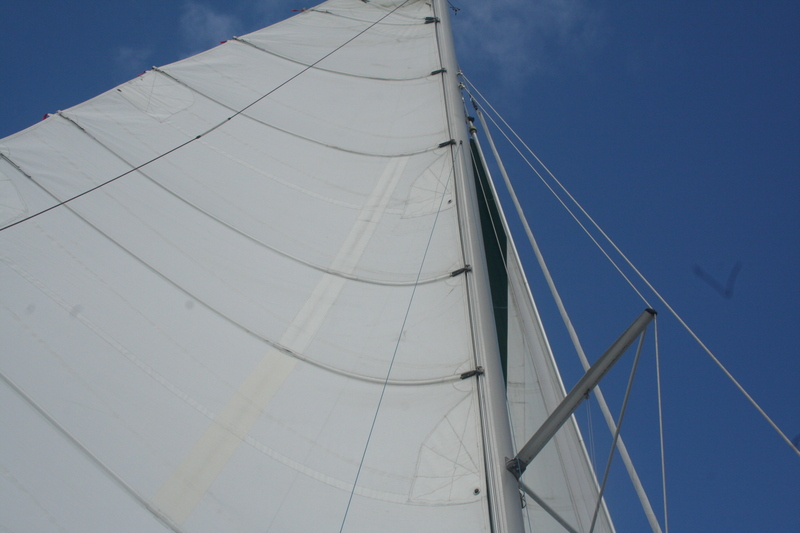 A few days out on the Gato allowed us to hoist the mainsail and test our skills at sailing. We used the wind to our advantage and optimized our angle with the wind, maneuvering the boat with the jib sheet by tacking. In addition to the different aspects of sailing, we learned a lot of other valuable information, like how to tie a double sheet bend knot, which is used to tie two lines together. My all time favorite knot was the bowline. I got so good at tying a bowline that at one point, I somehow managed to tie one single handed! Another knot I became very quick at tying, which I think is the most aesthetically pleasing knot of all, is the cleat hitch. The cleat hitch was used every time we docked instead of mooring or anchoring. There were a number of tasks to accomplish when we anchored for the evening. To start, we lowered the anchor into the water. After the anchor was lowered, a bridle was put on the anchor chain to reduce the tension on it. We observed the angle of the anchor chain each time we anchored to be sure the anchor was secured at the sea floor. 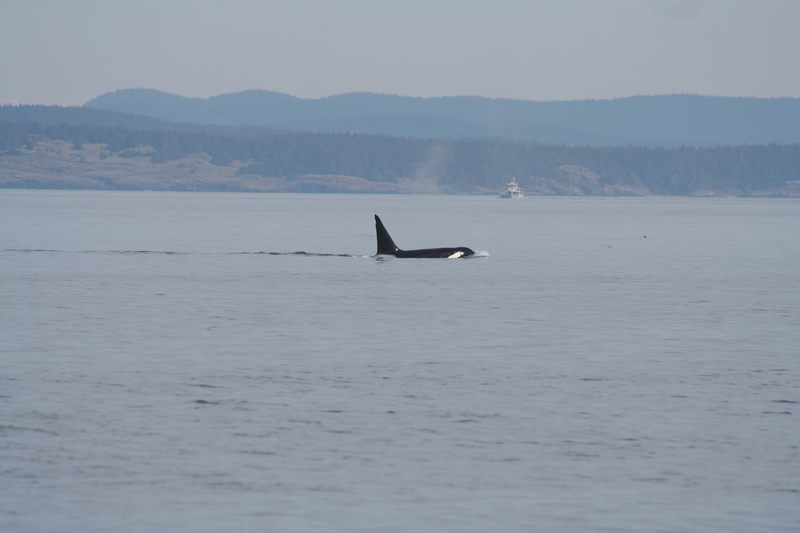 One of my favorite things about sailing was the rare opportunity we had to view the southern resident killer whales from the water. 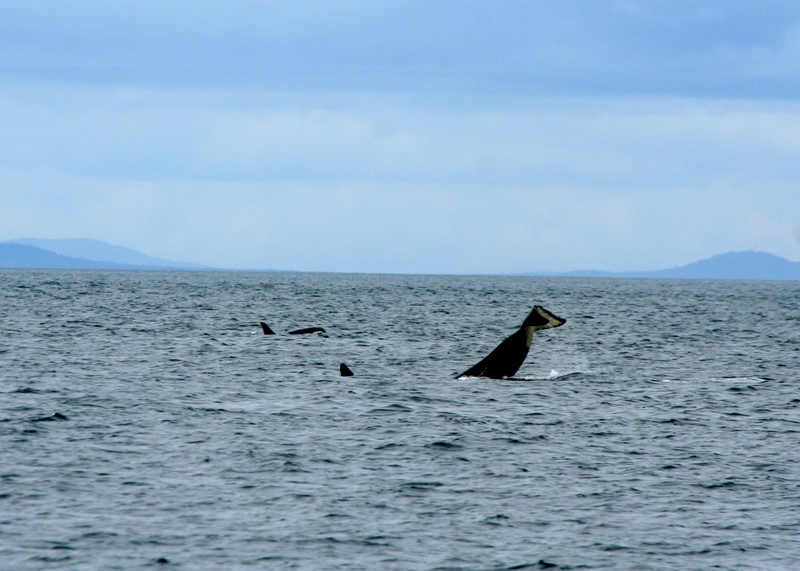 As we approached the end of our voyage, we were all wondering when we would be able to see the greatly anticipated whales. Finally, three days before our trip ended they showed up and stayed in the Salish Sea long enough to be with them on each of our last days on the boat. Our last day, the whales were not very vocal, but they put on quite a show for us at East Point. We were running from port to starboard, shouting out behaviors like crazy! It was amazing to see how much of a mood booster the whales could be. After a long, arduous, and exhausting week here at the Friday Harbor Labs, we have finally passed the threshold of our looming presentations. I will be sad to say goodbye, and while I know that I will never, ever forget the time I have spent here, it’s always difficult to leave a place where you feel so at home. This truly has been the experience of a lifetime. I have made lifelong friends and learned valuable skills and information that I will be able to use in almost every situation. Congratulations to the Beam Reach 121 class of spring 2012, you’ve done it! We take so many things for granted on land. Water appears to pour from an endless well and electricity is immediate at the flick of a switch. 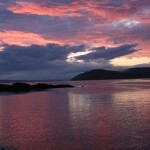 On the ocean, however, these luxuries have to be rationed as we can only use what we can store. In addition, any waste products, such as black water, have to be stored, and disposed of responsibly. 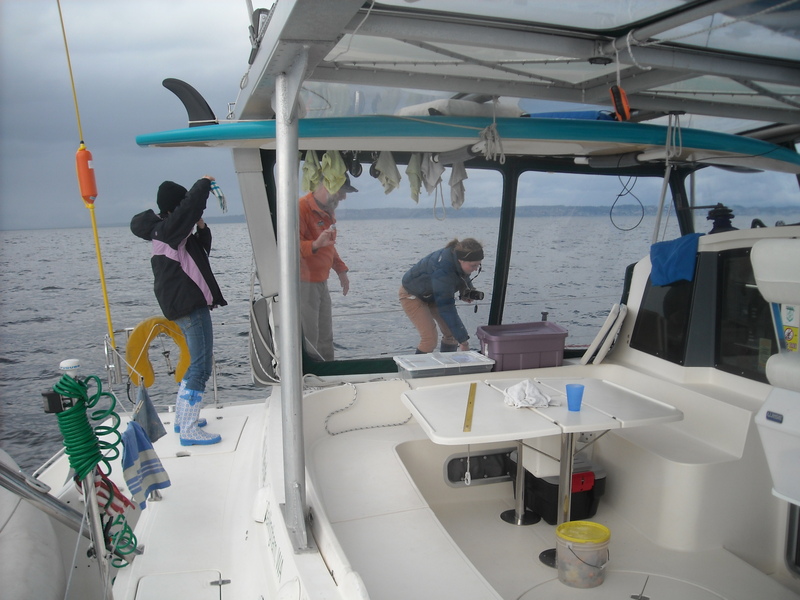 Whilst out at sea, for example, human waste was carried around with us until it could be ‘pumped out’ at Roche Harbor. The Gato Verde had two holding tanks for the purposes of storing human waste. The three weeks spent on the Gato Verde have certainly helped me to understand and appreciate how much more sustainable we can all live. In the past when I have heard the term sustainability, I have automatically associated this with either a big change in lifestyle or a large investment. The reality, however, is that we can all live healthier and more sustainable lives if we just use things in moderation. Whilst out on Gato, as part of our morning chore rotations, measurements were taken of water usage, sewage level, and amount of biodiesel used. This allowed us to graph and monitor our footprint over the duration of the trip. Compared to many vessels, the Gato Verde, a 42 ft electric biodiesel hybrid catamaran , is pretty special in that it was modified to be more environmentally friendly. Such modifications include converting to LED lights, and changing the sail plan to optimize efficiency. This involved adding a screecher to take full advantage of any wind, and by making the main sail a ‘square top’ to increase surface area. There is no cleaner fuel than the wind itself. If there is little wind then the Gato uses quiet electric motors to help it move through the water. Compared to most motors, these have little noise impact on the environment. The Gato also burns biodiesel, a renewable fuel source, that not only powers the vessel through the water, but, also can be utilized to charge the boats batteries. Despite the Gato’s current success in being sustainable, further modifications are being considered for the foreseeable future. In the short term, Captain Todd hopes to add solar panels and a wind generator to be even more energy independent. Research is also being directed into alternative grey water systems. 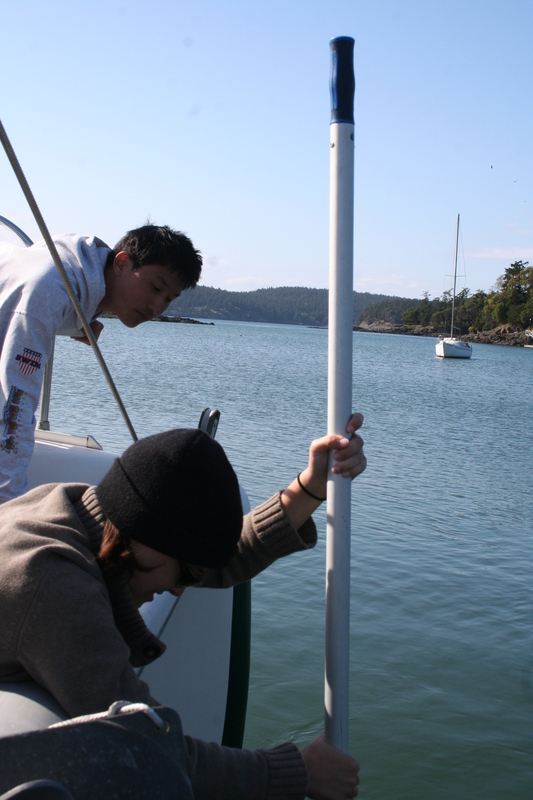 Although we were busy collecting physical oceanography measurements such as conductivity, salinity, visibility, and plankton density, there were a number of opportunities for us to learn about the Gato and the process of sailing. In the early stages, there was so much terminology to get our heads around and knots such as bowlines and sheet bends seemed impossible. In the latter part of our trip, however, this new language felt a lot more natural. For example, when asked to pull in the jib, I knew that this was the middle sail (not to be confused with the main sail or screecher). The masts supporting these sails were themselves held in place by a forestay and shrouds. Out of all the sails, we used the jib the most as it is designed to operate in lighter winds. By using the wind to our advantage, less fuel was needed to travel the same distance. 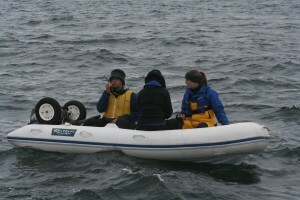 In addition to using the wind, tides and currents were also exploited. By using the environment we could ultimately be more sustainable. After long days of science, we would head back to either moor or dock on nearby islands. 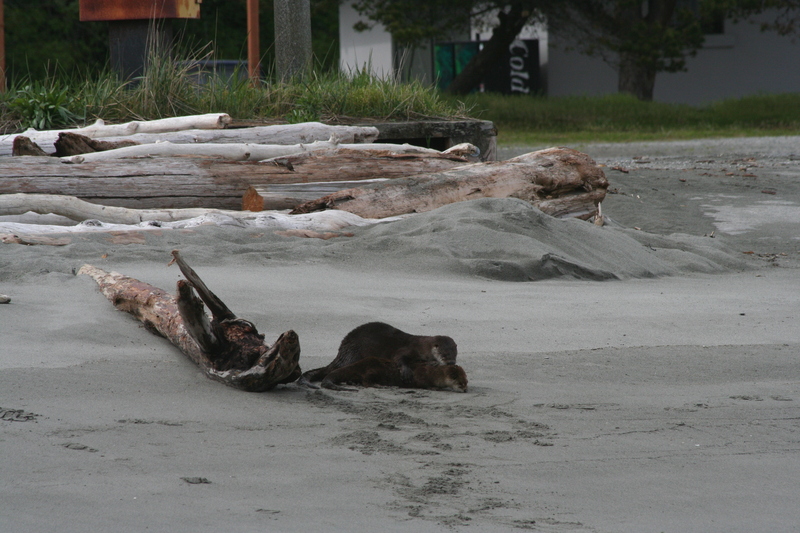 Out of all the places we visited, my favourite was Patos Island. On occasions, we were forced to anchor. This however was avoided wherever possible because of the damage it inflicts on the marine environment. Towards the end of the two weeks, we could prepare the anchor with as little as two students. We were mostly responsible for directing Captain Todd, operating the windlass, and preparing the bridle. 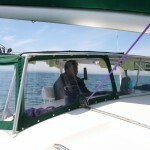 The idea behind the bridle is that once attached, it helps to distribute the stress on the boat. The final stage of the anchoring process involved attaching the chain hook. 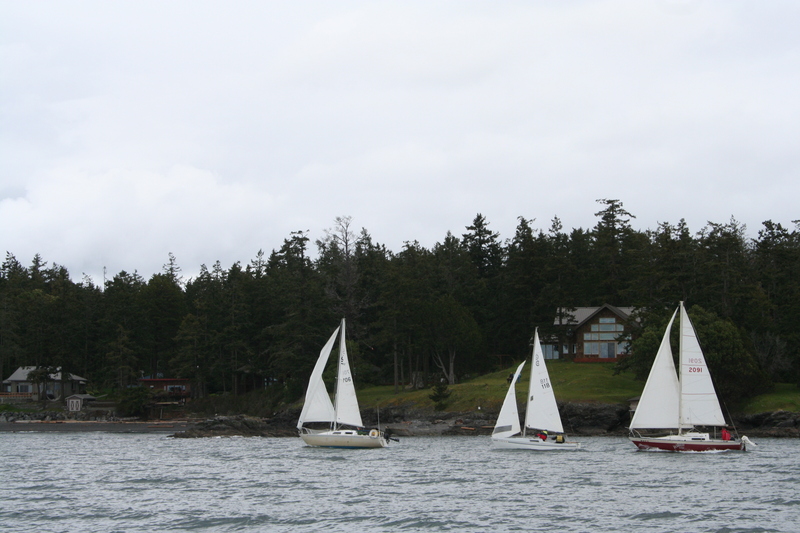 It was a sad moment when the Gato sailed off from the Friday Harbor labs. Although I was happy to be back on land, I am now itching to get back on the water. I feel that living onboard the Gato has prepared me well for the future. In the space of two short weeks we have learnt so much, skills that will last a lifetime. 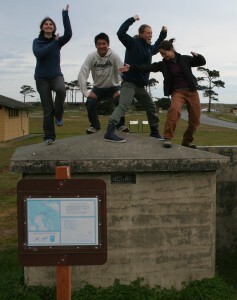 On October 10, 2011 each student had a round at being the helmsperson at the Gato Verde. The helmsperson practiced calling jibes and crashing through the stormy waters off the coast of Kellett Bluff. 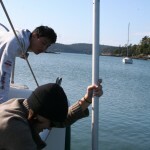 Students not driving the catamaran had to focus their concentration on helping the boat jibe. One student on port and another on starboard when the helmsperson yelled “READY TO JIBE?” they respond “READY”. The helmsperson, knowing the students were ready yelled “JIBING” and one student would release the jib sheet while the other would pull in the slack on the opposite side of the catamaran. 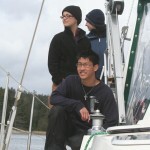 After jibing the Gato the working crew got to relax and enjoy the experience of sailing around “Cape Kellett Bluff”. It was safe to say the 30 knot wind gusts made for an eventful and wet sailing experience. Although the crew was chilled and soaked to the bone, the cargo did arrive safe and dry into Garrison Bay! During the spring 2011 program Carlos Javier Sanchez chose to make Beam Reach a focal point of his final project as a Master of Communication in Digital Media at the University of Washington (UW). 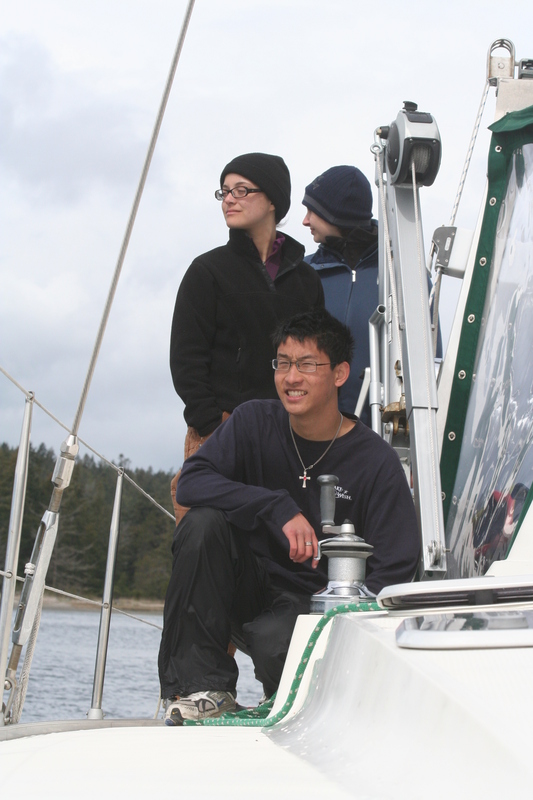 Carlos spent many weeks documenting our 10-week program — both on land at the UW Friday Harbor Labs and at sea on our sailing research vessel, the Gato Verde. Embedded below are the fruits of his labor — a highlight video and some shorts. We look forward to continuing to work with Carlos as a Digital Content Producer and thank him here for all of the amazing footage, still imagery, and in-air recordings he captured for us. 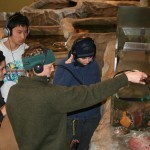 Beam Reach is an off-campus adventure that lets advanced undergrads and recent graduates live the life a marine biologist. 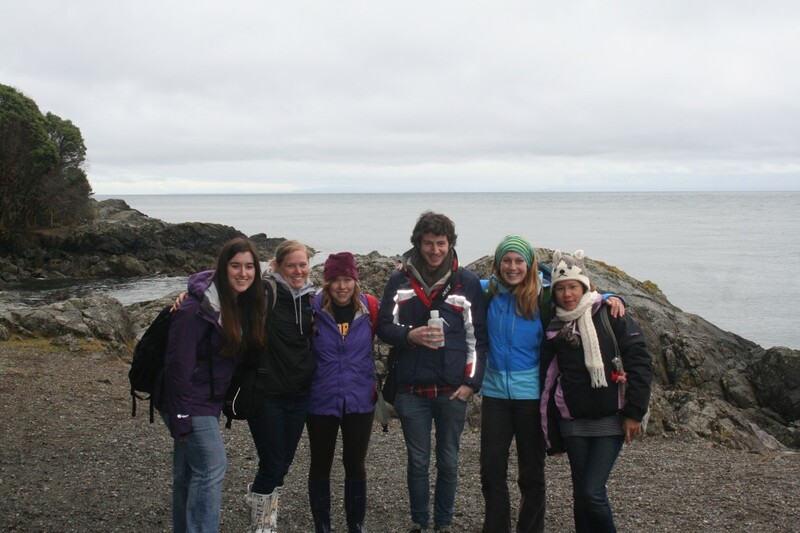 It’s a 10-week taste of what it’s like to be a graduate student or a professional field scientist. Beam Reach Cold Plunge 2011 from Carlos Javier Sanchez on Vimeo. 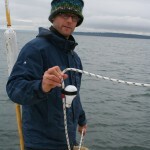 Gato Verde Adventure Sailing captain, Todd Shuster, teaches Beam Reach Students how to get knotty. 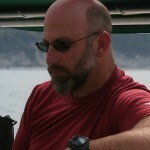 Captain Todd Shuster has been involved in sailing education for over 20 years. 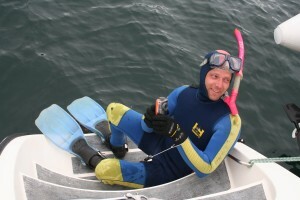 Todd is a US Coast Guard licensed Captain, a USSAILING instructor and instructor trainer. He has taught wilderness sailing courses in Baja, Mexico for The National Outdoor Leadership School (NOLS), and has run several sailing programs for universities, yacht clubs, and summer camps. 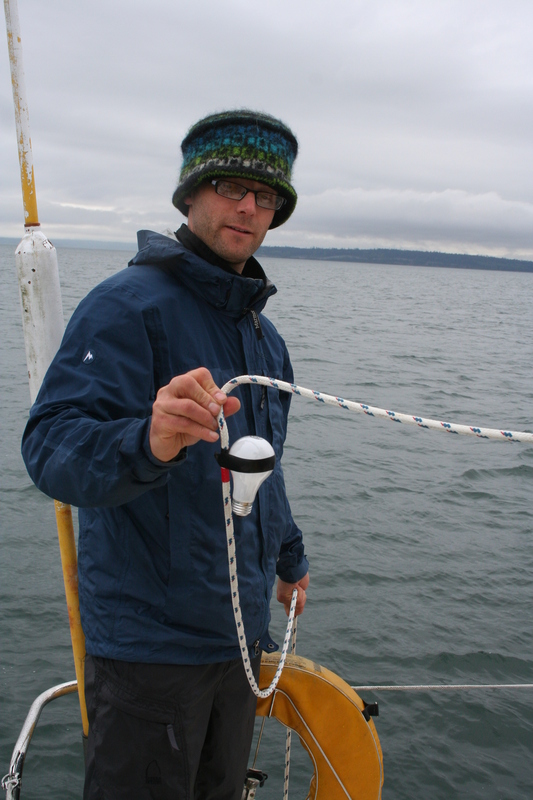 Gato Verde’s captain, Todd Shuster, teaches Beam Reach students how to sail on the Salish Sea. Mandy Bailey rises above the rest. 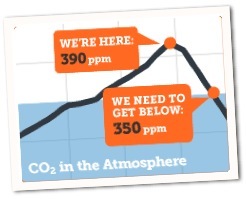 From 350 ppm to 350 orcas? This Sunday (10/10/10) Beam Reach will be joining thousands of other 350.org activists around the globe to do something about global warming. If you’d like to help reduce the concentration of carbon dioxide in the atmosphere from its current level, 390 parts per million (ppm), back down to what scientists say is a safe limit (350 ppm), then use this map to find a local event that interests you. If you can’t find an inspiring action to join this weekend, we recommend that you use this cool website to make your home more efficient. Not only does the site provide a prioritized list of actions you can take to reduce your carbon footprint, but also it shows you how you can save money through conservation. It turns out green is gold! We who live in Washington State have a special obligation to reduce our energy use. Not only do many of us contribute to global warming by burning natural gas or fuel oil to get through the cold months, but our electricity use is directly impacting the hunger level of one of our most cherished regional icons: the killer whale. You might think that because Washington Public Utility Districts get 82% of our electricity from hydropower, that we’re pioneers of sustainable energy use in America. The problem is that we’ve recently learned that our local orcas love eating chinook salmon, particularly the big fish that return to the Columbia and Fraser Rivers. Unfortunately, the same dams that provide our power are preventing the recovery of chinook populations on the Columbia and Snake Rivers. Reducing our energy use in Washington is a direct way to allow more water to be spilled over dams in the short term (increasing smolt survival) and more dams to be removed in the long term (giving adult salmon easier access to pristine habitat). With plenty of salmon to power them through the winter, perhaps our orcas could recover from their current ~85 animals to their historic 150, bringing the combined (southern and northern) resident killer whale population to 350 itself! On land at Beam Reach headquarters in Seattle, we’re always humbled when the students at sea report their water and energy use levels. Their typical daily water usage is only 2.5 gallons/person/day! In comparison, in our typical residential house we use 40 gallons/person/day. 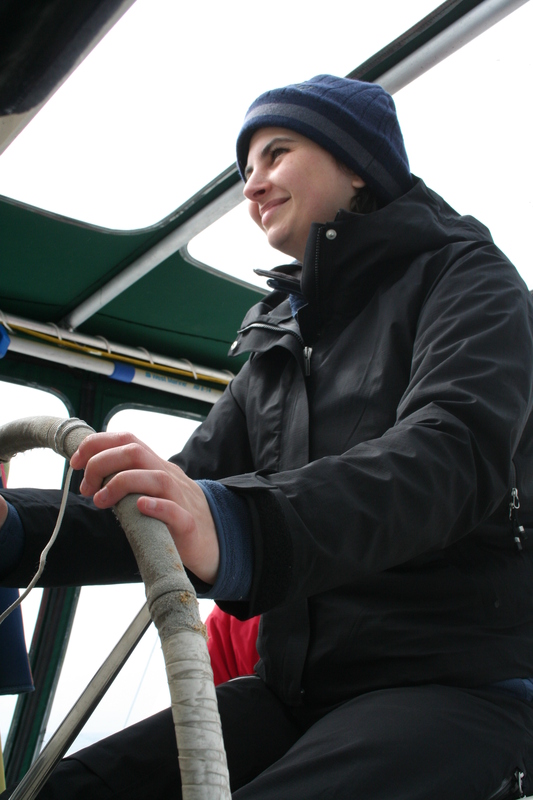 All energy on the Beam Reach boat comes from biodiesel, and the students’ usage is about 0.5 gallons/person/day. At sea, we’ll be continuing our efforts to practice sustainability science. We’ll be powering our studies of endangered killer whales with biodiesel bought from local supplier Island Petroleum Services. Our captain, Todd Shuster, encourages us to burn biodiesel instead of fossil diesel in the 42′ sailing catamaran, Gato Verde, that has a nearly-silent Prius-like hybrid electric propulsion system that enables us to listen to the orcas as we move with them. We’ll also be discussing the science and ethics of deriving liquid fuels from oceanic plants while filtering some plankton and taking a first stab at extracting their oil for conversion to biodiesel. If you’re not a home owner or can’t modify your living space, another action we recommend is to try cooking a meat-free meal this Sunday. Food production from farm to fork is responsible for between 20-30 percent of global green house gas emissions. Over your vegetarian meal you can discuss joining the meat-free Mondays movement, a way to make small changes in your life that can make a big difference for the planet. There are many ways to lower CO2 levels and many questions yet to answer. We hope you’ll join us in considering them creatively while taking a few practical steps forward this weekend. Today was amazing. We had great weather today as well as a warm night. It is the 1st day on the Gato Verde (the boat) and everything is going smoothly so far. Todd is wonderful. He is happy to explain anything we want to know about the boat as well as other any other local or seafaring questions we have. 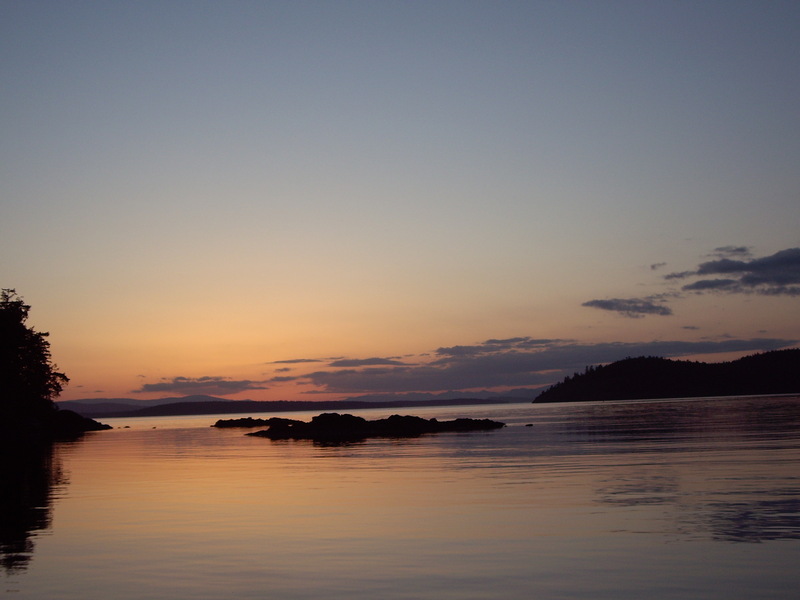 After leaving the dock at FHL we headed strait to our anchoring area, which was a gorgeous place called Griffin Bay. On the way to Griffin Bay we had very little wind but we got to put up the schreecher, the very front sail that is used primarily in low wind conditions, and everyone got a turn at the helm. While under sail we saw a few proposes, an otter and a Rhinoceros Auklet (a very cool seabird that develops a ‘horn’ on its beak in the spring). After anchoring, a very loud experience, we ate dinner accompanied by the call of a Loon. We eventually managed to spot and saw a Blue Heron as well. After night fell we were still exploring the boat and saw some sparkling in the water off the bow of the ship. 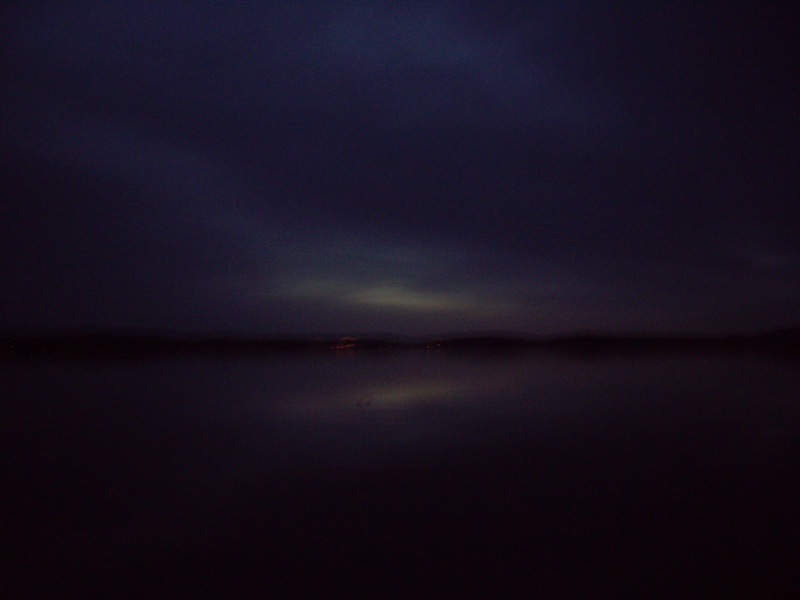 Scott told us it was bioluminescent plankton. We tried to get them to bioluminescence more by dangling a rope through the trampoline (the net on the bow of the boat) into the water the but the noise it made when we moved it through the net was echoing around the boat so Scott gave us the boathook to use instead. That made them light up really well! You could see them really far down, they kind of look like tiny fireflies. Very cool! 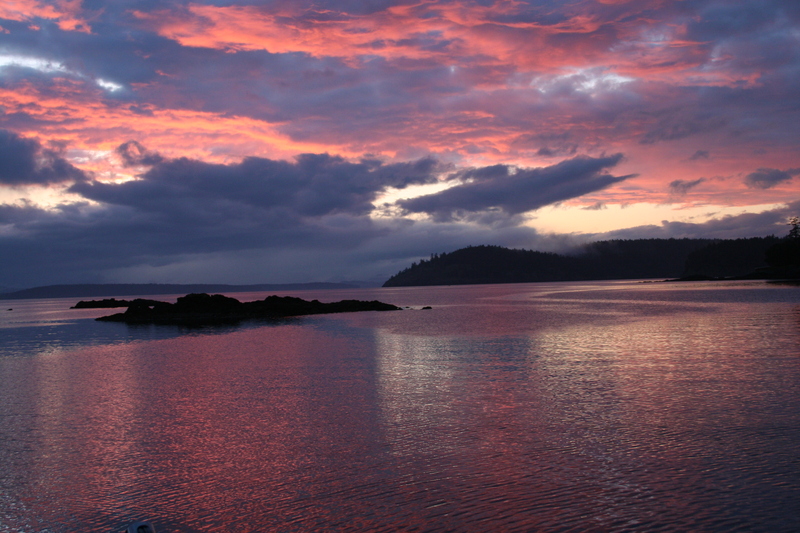 We are planning on going to Neah Bay tomorrow to repair the hydrophone. 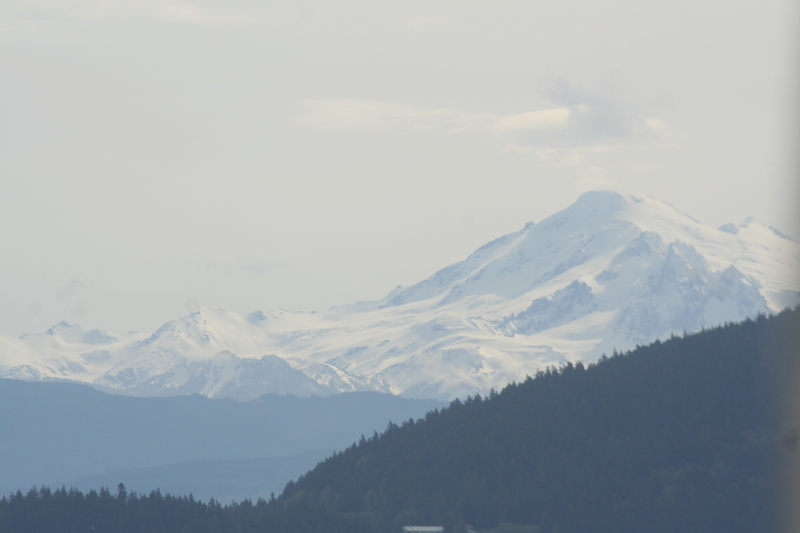 Today we headed out for Neah bay at 7:00. Toward the end of breakfast Kathryn spotted some transient orcas! We got to run along side of them for the next 6 hours! We took turns taking pictures with the zoom lens for IDs. 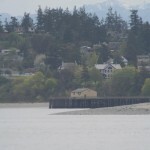 I decided to try and look through the pictures and try to figure out which Transients they were. After some scrutiny I figured out that the male that we saw was a Transient named T87. I further confirmed this after ID-ing his sister T90b. It was very cool! 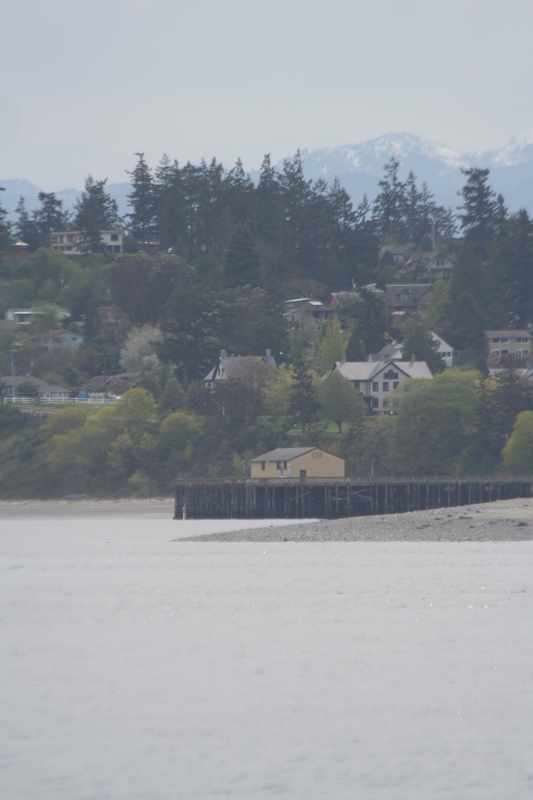 We followed the orcas down to Admiralty Inlet so we decided to dock at Fort Warden State Park in Port Townsend next to the Marine Science Center. We met the head of the Marine Science Center as well as the four very nice AmeriCorps women who work there and they let us go inside after hours and play in the touch tanks, which was a lot of fun. Today was a very odd day. 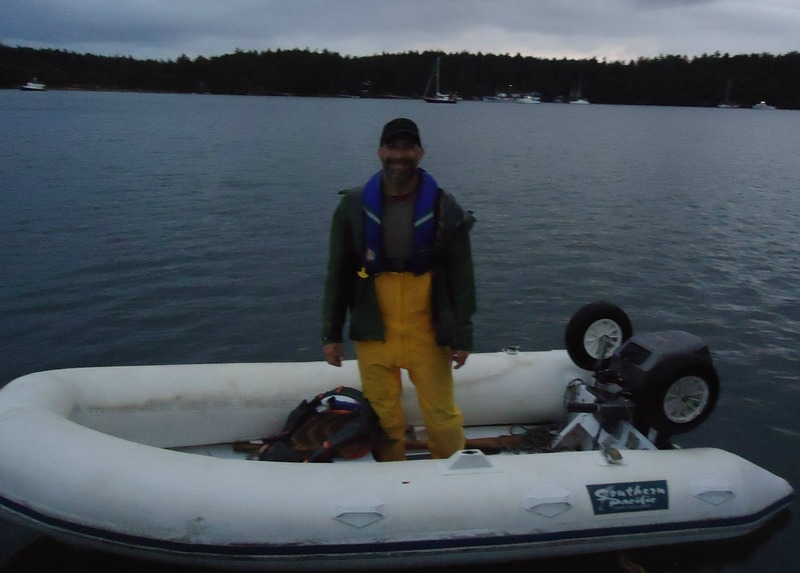 We decided to head back up to the islands and do a calibration type test for a project Jason, Scott, Val and a few others are doing before the instillation of the tidal turbines in Admiralty Inlet. The light bulb deployment line. We needed to put six light bulbs 10 meters apart on a rope, deploy it vertically in the water and drop a weight from the top causing each of the light bulbs to implode in turn while hydrophones recorded it from 100 m, 200m, and 400m. It sounds easy but in reality is full of logistic problems, which Libby Scott and I found while deploying the light bulb line from the inflatable dingy, affectionately named Gatito, in the middle of Admiralty Inlet while the 4 foot waves rocked us about. Scott with the hat, Me in the black and Libby in the blue jacket. We never got more than the first two light bulbs to break in about four hours of trying! We kept adjusting our attachment and weight deployment methods until the radio ran out of battery and then Scott’s telephone got too cumbersome to use. 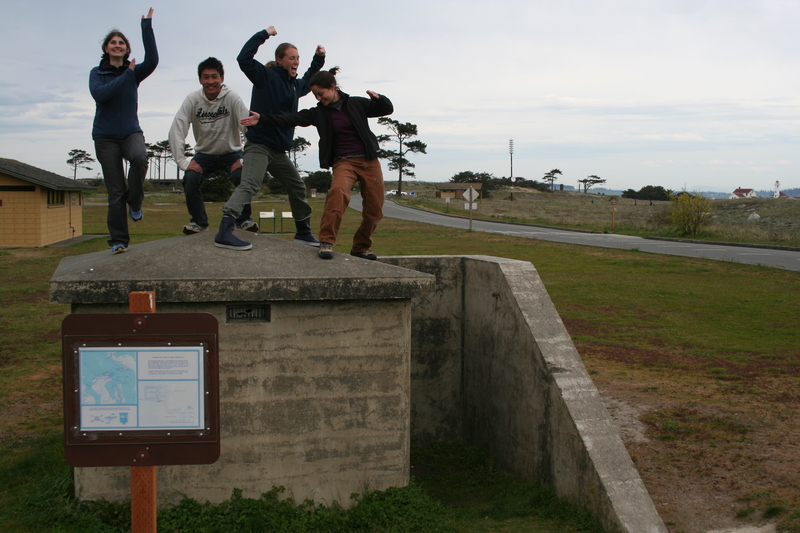 Welcome to field science! 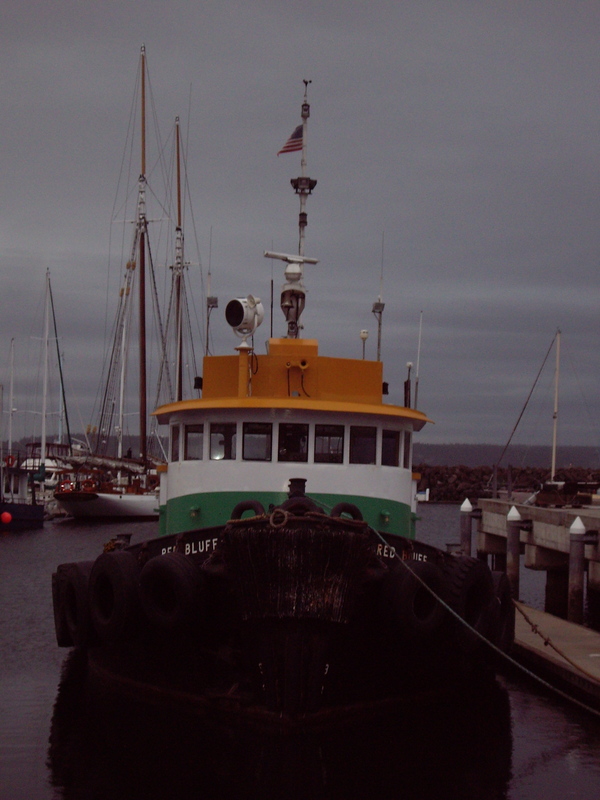 By the time we got back to the boat we realized that with the wind, currents and time we wouldn’t be able to make it back to the islands before dark, so we decided to dock at the main harbor in Port Townsend. It was full of sailboats and the wind through the rigging made a wonderful sound like bells and chimes. It was beautiful! We started early today, casting off at about 7:00. Horace and I were in charge of breakfast for that day so we were already up. The weather had turned foul during the night and after about 20 minuets out of the Harbor we realized that the winds were too strong, gusting to about 35 knots, and we wouldn’t be able to make it back to the islands. The seas were very choppy and because I was in the cabin cleaning up after breakfast I got pretty queasy. It wasn’t fun but at least I didn’t throw-up. We quickly turned around and ended up docking at Fort Warden for the second time in three days. It was actually a good thing too because we had a chance to accomplish some things we hadn’t gotten around to yet. First we got to learn the names of the different parts of the boat. It was a lot of fun. I enjoyed it primarily because not only do almost all of the names make sense, but now I can respond properly to Todd’s requests. 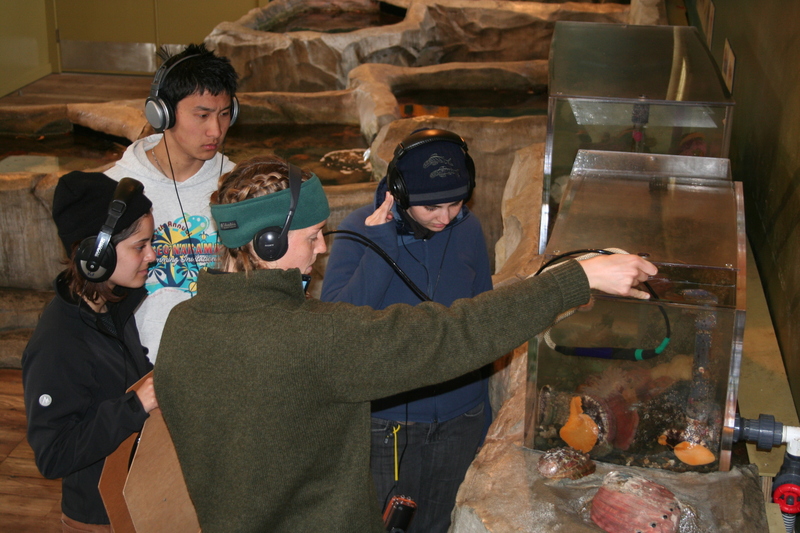 Next, since we hadn’t listened to Libby’s hydrophone yet, we got to stick it into the Marine Science Center tanks to see if any of the creatures were making any noise. We were disappointed at how quiet they were. After that we stuck it through the floor to listen to the ocean. It was a good thing we did because there were some technical problems with the recorder, but we got them fixed pretty quick. 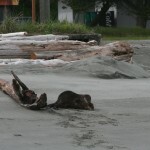 While we were in the Science Center there were a pair of otters which were mating in front of the boat and on the beach. We could hear them all the way from inside the building. It was pretty wild. After that Scott took us to the Marine Museum and let us explore a bit before he taught us all about rocks and the geography of the area. He took us to the point down by the bunkers and we each tried to find some of the types of rocks he mentioned, igneous sedimentary and metamorphic. We had to smash some of the rocks open to get a better idea of what they were, which was very fun. Afterwards we threw an orange in the ocean to figure out which way the tide was going. It was a very relaxing day. 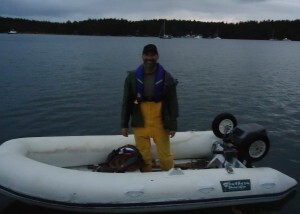 Jason had to leave the boat at 5:30am to get back up to Friday Harbor to give a talk on some of the projects he is doing. 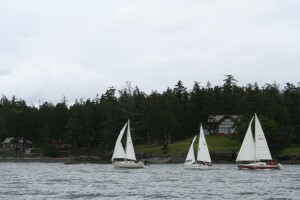 We left Fort Warden for Snug Harbor, at the North end of San Juan Island, around 9:00. On the way there the weather was perfect weather for sailing so Todd taught us how to raise and lower the mainsail and we got to do some sailing. It was a lot of fun even during the beginning when everyone was feeling a bit queasy. We made great time and got to the head of Snug Harbor earlier than expected so we were able to do a plankton tow. We found some very cool critters, including a long translucent worm, some baby jellyfish and a few other larger predators. After getting into the harbor, and finding out that the Beam Reach mooring was in fact gone, we decided to search for it. We used the very cool SplashCam, which is an underwater camera, to search the bottom for the anchors. While searching the bottom with the SplashCam we got to see a lot of seaweed and one crab, which startled everyone into a fit of laughter. It was a lot of fun! We never did find the mooring but since we didn’t see any eelgrass, which is important habitat and rarer than it should be, we decided to drop anchor. After we brought the camera up and ate dinner, Scott went a shore to bring some things to Val and contact Jason, who hadn’t returned to the boat or contacted us yet. We watched the sunset and after it had gotten dark we got a call from Scott saying that his sister, Laura, had given birth to a healthy son named Tennessee Viers Martine and that he was staying the night at his parent’s. Laura’s new baby is super adorable by the way! Jason and Scott came aboard after breakfast and we decided to head down to Lime Kiln to try and find one of the hydrophones that has been lost over the years. On the way down there were perfect conditions for sailing so we got some practice in for the race we were contemplating joining the next day. We all got to man the helm as well as pull and release the Jib sheets. Kathryn and I hoisted the mainsail, not as easy as people make it look, and I got to release it. When we got to Lime Kiln we deployed the SplashCam and got an amazing look at the various sea stars, clams, sea urchins, sea cucumbers, seaweed and fish that we ran across. Unfortunately the awesomeness ended when the screen went blank and Scott shouted for Todd to stop the engine. The cord had gotten wrapped around the Starboard engine and damaged in a few areas. We couldn’t get the cord unwrapped from the boat, so Scott got into his wetsuit and snorkeling mask and had to dive in to un wrap it manually! A long time later, maybe 30 min to an hour, Scott unwrapped all of the cord and we were able to see the damage. It wasn’t too bad but damaged enough that they will probably have to splice the line. On our way back up to Snug Harbor we deployed the blue 4 hydrophone array as well as Libby’s hydrophone for practice. Everything went smoothly. When we got back to Snug Harbor Scott and Jason went out in Gatito so Scott could snorkel to try and find the mooring anchors or ball. They were unfruitful. While they were doing that we all learned how to use a pressure cooker from Todd. It was very exciting! Today we started out at about 9:00 so we could get readings for the temperature, salinity and dissolved oxygen every 10 meters for 100 meters of the water that we did the plankton tow in a few days prior, before the race started at 11:00. We participated in two of the races. It was a blast. During the first race we couldn’t get around the first checkpoint because our boat was too big to catch the little wind that came around the point the buoy was behind. But we did well after that. During the second race we were doing very well at the beginning, but one of the other sailors got stuck on some rocks so we stayed it the area until he got free. Instead of finishing the race, since we were already going the correct direction, we decided to head up to Roche Harbor to pump the holding tank (sewage) before going up to Jones Island just Northeast of San Juan Island. 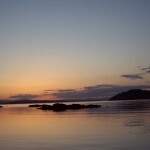 Jones Island is a gorgeous area! We got to learn how to tie to a mooring, but when someone left we moved to the dock so we could use the land heads. Before dinner, and the move to the dock, Todd showed us some knots we need to know. We learned the square knot, the bowline, the clove hitch, the girth hitch, the truckers hitch and a few others I don’t remember the names of. It was a lot of fun! 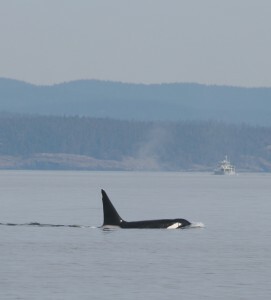 Libby Kathryn and I went for a walk and after playing on the West side of Jones Island heard from a couple that they had seen a pod of at least 12 orcas not 10 minuets prior that were traveling south past he point of Jones. We kept watch for a while but never spotted them. It was a really fun night. Sailing on the Gato Verde! We just got back from our first two weeks out at sea on the Gato Verde! Besides seeing all the marine mammals, sailing is one of my favorite parts! 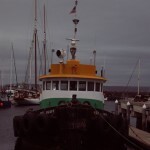 I have enjoyed the times on the Gato Verde, with the exception of a few times of sea sickness. I like the adrenaline rush of putting up the main sail. Then working together to do a proper and efficient tack! Learning how to sail with Todd is a great experience and i hope to continue it after my adventure with Beam Reach. 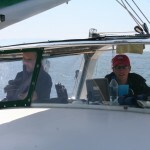 One of my favorite parts of sailing is at the Helm! I like the feeling of cruising alone on a nice day out at sea. I feel so calm and relaxed. I feel like i am in a different world, then i get a rush of excitement when i have to say “Ready to Tack?” and shift the boat in the proper direction. Then you can go back to cruising along! When i am at the Helm i do find it way easier to find a land mark and just follow and every once in a while looking at the instruments to make sure we are safe. If i have my head wrapped around the instruments to much i just get confused. So my advice to any future Beamers, just go with the flow and pick a land mark that works for both you and Todd! 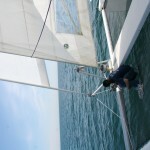 Another good part of sailing is the fact that it is fun! The more you sail, the easier the terminology gets. You get use to using the terms like Starboard, Port, Bow, Stern, Leech, Luff, Main, Traveler, etc. Sailing is just one of things that takes practice and a smile! What else i like about sailing is it is a team effort! I strongly believe in working together and in my opinion you need teamwork to sail nice and smooth. Then once you have lots of experience you can sail by yourself and enjoy the seas through your own eyes. That is how dreams grow and then come to life right in front of you! Plus another great bonus of sailing, is all the great marine animals you get to see along the way! PS: Have some fun and safe sailing! Despite the amount of build-up, preparation and thought that went into our departure, I’ve come to find that I had very few concretely formed expectations regarding boat life. I now believe that even if I had formed expectations, they would have been thoroughly altered after the first two hours. So many small things in life need to change to make life on a boat possible. At home, my mixed family live in a strangely laid-out mother and law house. My mom and I joke by calling our part of the house, the ‘Paris apartment’ because it is so small and compact. The concepts required for peaceful cohabitation in the ‘Paris apartment’ must be multiplied tenfold to be acceptable on the Gato Verde. One of the first rules of a small space is keeping it clean and uncluttered, particularly in communal spaces like kitchens and bathrooms. At home that meant leaving my school books In a tucked away corner of the living room, vacuuming at least twice a week, and always, always neatening my room once day. Here, it means cleaning every communal area at least once a day, never leaving your personal belongings in a communal area and living out of a backpack. We get up in the morning and the first thing after breakfast is completing our chore rotation. The breakfast dishes have to be washed, the systems and holding tanks for water sewage and fuel checked, the deck squeegeed and wiped, the galley cleaned, the floors swept and the weather and currents for the day reported on. In chemistry, the term limiting reagent refers to the substance which determines how much of the reactants can completely turn into products. On the Gato Verde, the limiting reagent which determines whether or not we can keep sailing during the day is black water. I’m not, of course, talking about the erstwhile security contractor but about sewage which is what drives us to a fully functioning harbor more often than freshwater, food, or fuel. Depending on your frame of reference, the Gato Verde can be accurately described as palatial or miniscule. I tend to try to classify it another way. Emotionally, the space is miniscule. Physically, the space is palatial for a boat. It’s trying to live in a place where everyone knows where everyone is and what they are doing every moment of every day. There just aren’t very many places to hide and have alone time on a boat. All of that said, however, the experience has been incredible. The ability to travel over water, close to it, powered by it and living in it is an absolutely awe-inspiring one and something I have never been able to experience the same way. From a research perspective, it is an amazing opportunity. We tie up every night in beautiful secluded places and breathe clean, cool air, smiling into the wind, as we drift among islands covered in trees. We’ve watched otters, bald eagles, buffleheads, cormorants, harbor seals, transient orcas, Dall’s and harbor porpoises, and elephant seals all while learning loads and laughing. Who could ask for more? It’s just that lovely. 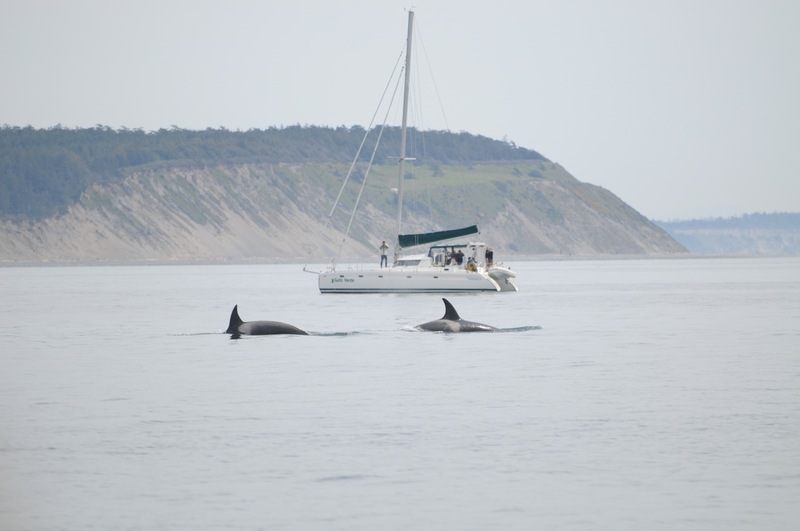 A new type of boat will study the orcas and their environment this fall. The Gato Verde is a 13-meter (42-foot) sailing catamaran that recently became the first biodiesel-electric charter vessel on the West Coast. Last winter, dual 27-horsepower diesel engines were replaced with two electric motors, extra batteries, and a 14-KW genset burning biodiesel. 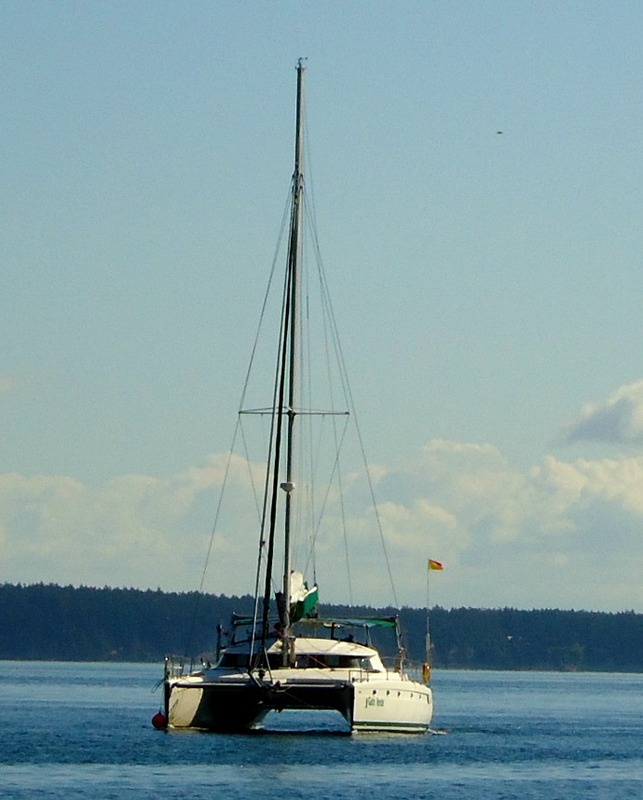 The re-powered Gato Verde will serve ecotourists through Gato Verde Adventure Sailing out of Bellingham, Washington, this summer and the Beam Reach marine science and sustainability school this fall when students will study orcas and acoustics. We’re confident that ecotourists will appreciate the changes. Sea trials indicate that propulsion noise and vibration is dramatically reduced in the cockpit and hulls. Diesel fumes and exhaust are gone and the increased propeller pitch and extra blade have enhanced maneuverability in close quarters. The total mass of the propulsion and power system increased only ~100-kg, and distributing the extra batteries in the bows re-balanced the load and improved hull performance. 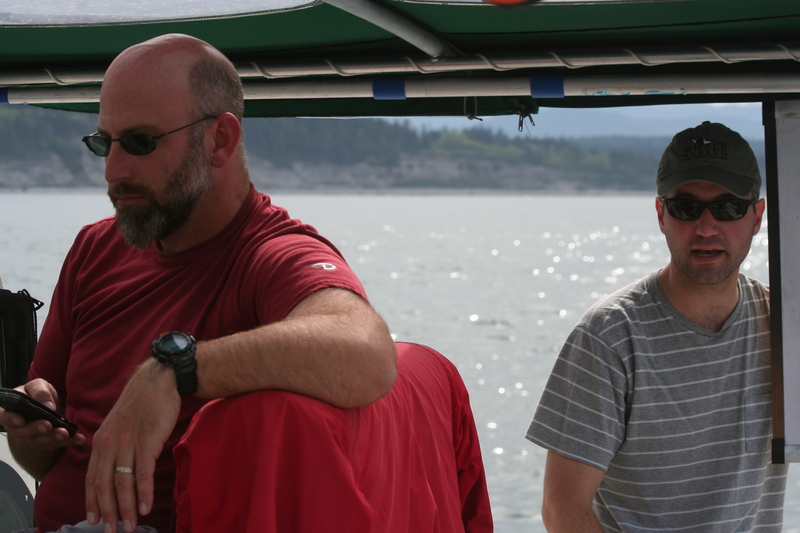 Teachers in boat-based programs like Beam Reach and researchers who study orca acoustics will also value the quieter system. Class discussions in the cockpit will benefit from the ability to transit quietly under electric power. Fumes and exhaust from the biodiesel genset will be less distracting than fumes from petroleum diesel and its combustion. Acoustic observations will be much easier to make while moving under power; last fall, extended, continuous recordings were only acquired when the wind and currents allowed us to sail parallel to the traveling orcas. Lynch motor mounted on the saildrive. For reference, a -6 dB shift is SPL is generally perceived as a halving of loudness. 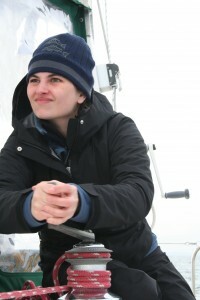 All measurements were made on the horizontal centerline of the compartments, except the loudest point measurements which were at (~1 cm from) the the air intake on the diesel engines and at the outboard base of the sail drive in the hybrid system.Preliminary, qualitative observations indicate that underwater propulsion noise is reduced, as well. Quantification of this improvement will have to await re-occupation this fall of the site where the diesel engine noise was measured. If the noise reduction is substantial and the economic benefits are made clear, then Gato Verde may provide other commercial and private vessels with an inspiring example of technology that can reduce underwater noise in orca habitat. Captain Todd holding a Lynch motor. Gato Verde is a 1995 Fountaine Pajot Venezia 42 Catamara (LOA 42’, LWL 40’+, beam 23’, dry weight 19000lbs, full capacity weight 23500lbs). The previous propulsion system consisted of dual Yanmar 27hp (3gm30) engines with saildrives. Each Yanmar was replaced with an “off-the-shelf” Thoosa 9000 system. The muscle of each electric system is a Lynch motor and the brains are a 4 quadrant (regen) Navitas controller. There is a Link 10 Battery monitor on each system. Each of the two battery packs consist of four 12V Group 31 AGM batteries providing 105AH @ 48V to each motor. The motors are mounted to the old Yanmar SD20 sail drives and are turning new 3 blade 17”X15” props. The saildrive reduction is 2.6:1 and was used without modification by mounting the motor to the existing power input shaft with a custom fitting. The new biodiesel-electric-sail power system allows Gato Verde to match (or better) previous motoring performance while decreasing fuel & lubricating oil consumption by up to 50%. Additionally, the battery pack enables Gato Verde to motor silently for up to 3 hours. When extended motoring is required, the on-board biodiesel generator will provide enough electricity to power the electric motors continously. Based on the volume of the fuel tank, we estimate an endurance of 125 hours/tank or about 625 miles. Finally, the propulsion motors will be able to re-charge the battery bank when under sail by letting the props spin turning the motors into generators. For comparison, the Yanmar engines propelled Gato Verde at 7.4 knots in calm conditions @ 3400 RPM.The bio/diesel gen-set consists of an eCycle DC generator built on a 3-cylinder 23 HP Kubota D902. The water-cooled motor/generator puts out over 12KW @ 58V DC. The buck-boost regulated system is more expensive than diode charge regulation, but it will put out the full charging voltage for the 48V battery pack no matter the RPM of the engine. Changing RPM changes current, not voltage. Thus, the generator speed can be reduced or increased to provide the exact amount of energy needed for any given conditions. For battery charging or boosting, the generator can be run at low speeds using less fuel and creating less noise. In a situation where maximum power is needed the generator speed can be increased to meet the demand. (Note: the last 2 data points are unevenly plotted in the range.) 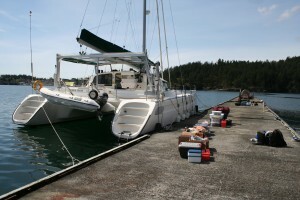 Gato Verde’s first charter with the electric drive system was a great success. Since the DC generator parts had still not arrived and a small gasoline AC generator was used for battery charging. 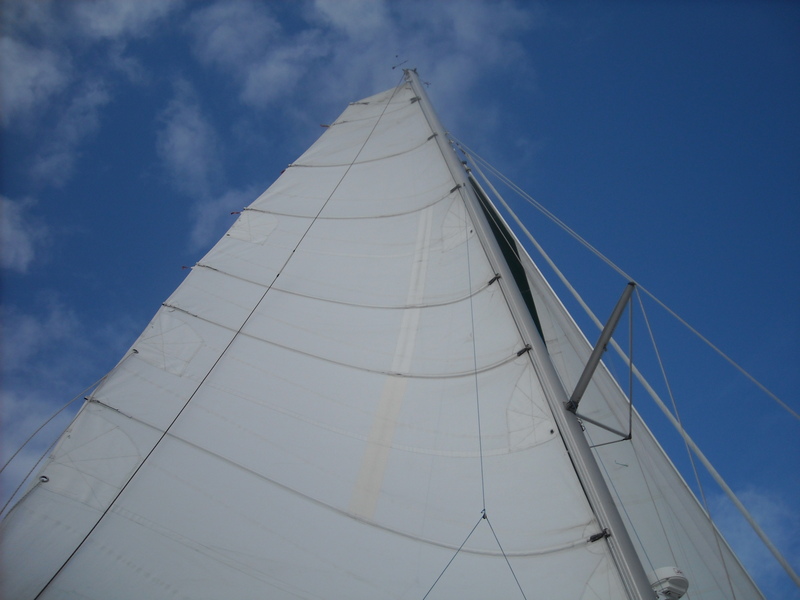 The regeneration under sail worked whenever we were sailing over 6.4 knots. We don’t have detailed data on speed vs. current output yet but measured as much as 11 amps at one point when our boat speed was approximately 7.8 knots. We’re looking forward to getting out in a good blow to do some serious data collection.